Canvas has changed the way parents set-up an Observer Canvas Account. Instead of having to enter their student's username and password, they now have to enter a pairing code. 1)Please see below for instructions on how a student can generate such a pairing code for their parent or guardian. It is recommended that the student does this in the presence of the parent so the parent can accurately write down the pairing code. 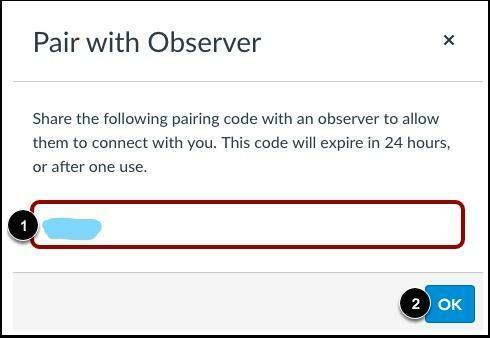 Students must generate a PAIRING CODE for observers in Canvas. 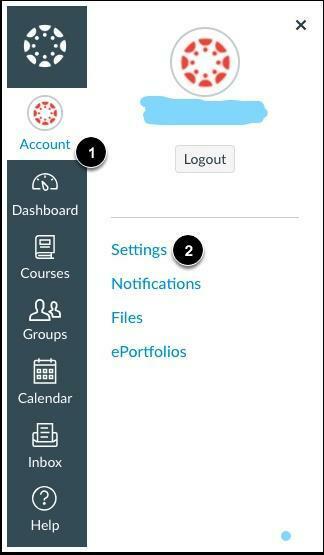 Students will need to login to their school’s Canvas account and then click on their Account Settings. Select Pair with Observer from the right hand menu bar. Canvas will generate a Canvas Pairing Code that will allow parents/guardians to create a Canvas Observer Account. NOTE: This pairing code expires in 24 hours. 2) Then follow the instructions in the attached pdf document to gain "Observer" access in Canvas.